Darrell (Lynn) passed away peacefully in his home in Magalia, California, on the evening of August 31, 2018. He was the first son born to Rex and Helen Brush in St. Petersburg, Florida on August 26, 1954. At an early age, Darrell and his family moved to Campbell, California, part of Silicon Valley in the South Bay Area, where Darrell spent all of his childhood and much of his adult life, working with his father as an early employee of Hewlett Packard. He made many lifelong friends in the Bay Area that he remained in touch with until his death. He also lived in Hillsboro, Oregon and Sacramento, California until retiring to Magalia in 2016. After Hewlett Packard Darrell worked in the production industry in machine maintenance and later, after earning his AA, as a Machinist. He loved the outdoors, especially the mountains, and spent every minute he could camping and spending time enjoying nature in the Sierra Mountain Range. He also loved being a "Papa" to his five grandchildren. He was a lifelong San Francisco Giants fan and attended many home games as well as spring training in Scottsdale. 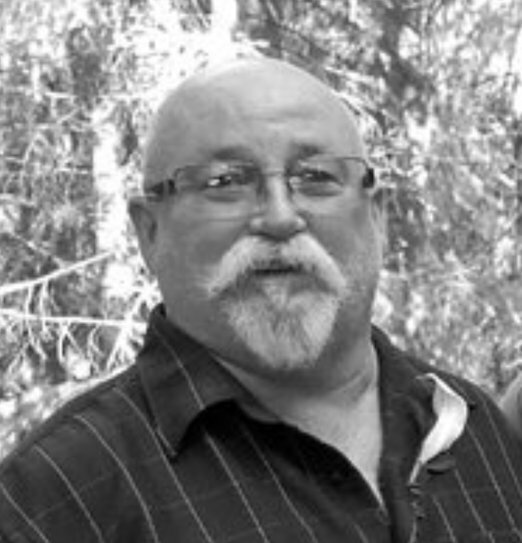 Darrell is survived by his wife, Sheila, of Magalia; son Rick, his wife Michelle, and granddaughters Hannah and Samantha of Orange County; father, Rex Brush, brother Wayne and Wayne's partner Terri Worley of El Dorado Hills, daughter Carrie Gorski, her husband Kyle and granddaughters Madelyn and Ella of Sacramento; son Seth Awram, his wife Molly, and grandson Weston of Gladstone, Oregon; sister-in-law Elaine Brush of Folsom, niece Michelle Gohagan and nephew Chad Brush of El Dorado County, long-time close friend Tish Morgan of San Jose, and many close, loving friends. He was preceded in death and certainly welcomed to Heaven by his loving mother, Helen Ainsworth Brush. His passing has left a hole in the hearts of his family and friends that will not easily be healed. Think of him when you watch a "Giants" game, and cheer for them. He'd be honored! Also, please feel free to share your memories of Darrell on the Tribute Wall.